There is enough of a twist on the traditional to keep it interesting for the people who prefer a little something new, but not so much that those who are looking for their beloved sounds will feel cheated. Indeed, this is truly a Celtic CD that many people would enjoy. Rimheach! [Gaelic: ‘Superb!’] The combination of musical talent, expertise of the instrumentation and the musical feeling, Celtic spirit, makes it impossible to sit still. Everyone at the station was tapping their feet, wiggling in their seats or dancing, and some were doing all three. Outstanding! 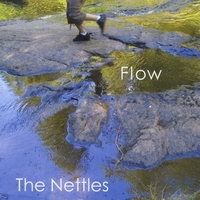 A perfect fit for the sound of our programs of Celtic music....It’s in heavy rotation right now. Your CD arrived this week and I enjoyed it so much I made it the featured album on today’s program. 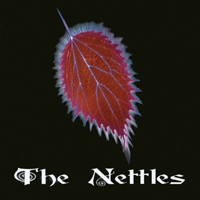 I reckon The Nettles would be great fun at pub gigs and the like. There’s a lot of energy and I really like the direct approach you take with the music. You mix up American and Irish tunes delightfully through the album, as well as tossing in a couple of tunes of ‘other parentage’ sitting very well with the rest. The album works well for my taste. It gives a strong indication of your ‘live’ sound...I would love to see you guys live on stage...Thanks for sending me a copy--it will continue to get airplay. Excellent, all-around. Great arrangements and musicianship! Steve Jerrett, Sunday Morning Coffeehouse, KOPN, Columbia, MO.